Towering above the city of El Paso is Franklin Mountain State Park, one of the largest urban state parks in the country. 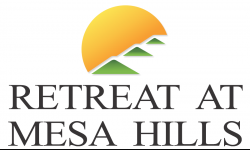 Located less than 30 minutes from Retreat at Mesa Hills, this mountain park is a great option for residents who live for outdoor adventure. With fall quickly approaching and the summer heat coming to an end, now is the perfect time to start planning an adventure at Franklin Mountain StatePark. With 125 miles of mult-iuse trails, Frank Mountain park is a great destination for hikers, mountain bikers, and camping enthusiasts alike. To help you plan your next adventure, we have researched some of the best trails and outdoor activities in Franklin Mountain State Park for outdoor enthusiasts of all skill levels.Aztec Cave Trail is a beautiful 1.2 mile out and back trail that is used primarily for hiking and birding that is open all year around. Boasting great views of the desert and other canyons, this dog fr iendly trail is a great option for those looking for an enjoyable day hike at an easy comfort level. For those outdoor enthusiasts who crave more of a challenge, the Thousand Steps Trail is a great option. This 4 mile loop trail includes a 1,800 foot elevation gain and features some of the best views of El Paso on Franklin Mountain. 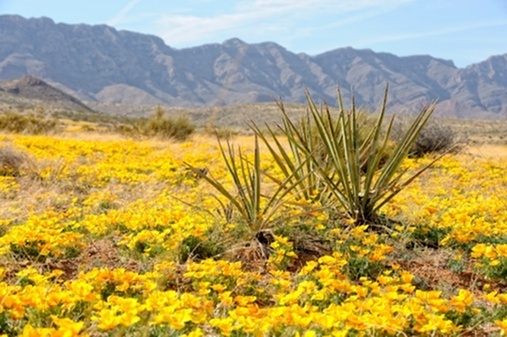 Beautiful wildflowers, desert shrubs, and mountain wildlife mark this trail and it is dog friendly year round. For those who may necessarily be interested in hiking the mountain, Franklin State Park also features the Wyler Aerial Tramway, a fully operational cable cart system that allows riders to take in the beautiful mountain views without the strain of a desert hike. Riders if the Wyler Aerial Tramway embark on a wonderful 5-10 minute ride past over 600 years of geological history with a plethora of beautiful views and El Paso wildlife scenery.Franklin Mountain is a wonderful outdoor option for the residents of El Paso regardless of your age or skill. We hope you make plans for an adventure there soon!